In part one of this episode, Stu is joined by Paddy Riels who fills-in whenever things have gone horribly wrong! Stu & Paddy discuss the labor shortage and housing crisis in Asheville. 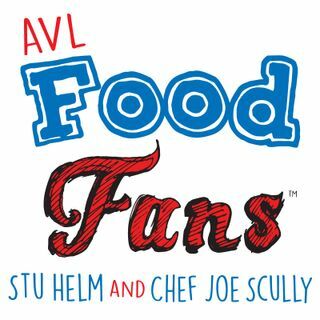 Next Chef Joe Scully from Chestnut, Corner Kitchen, and Corner Kitchen Catering comes in to discuss a topic with Stu: The Food & Fun That Stu Had in Saulte Ste. Marie, MI! Pasties, coffee, & wedding food! At the end of the show, Stu delivers a rambling monologue... AKA killing time. . _ . Another ... See More great show, brought to you by WPVM 103.7fm, Mamacita's Grille & Mamacita's Taco Temple, and Revelry Unique Events Downtown. Theme song by the Derita Sisters.